Another Beauty Smackdown, my last one was in August on Best Exfoliating Cloths! If you love to really get a deep exfoliation, that post will be extremely helpful, so check it out. 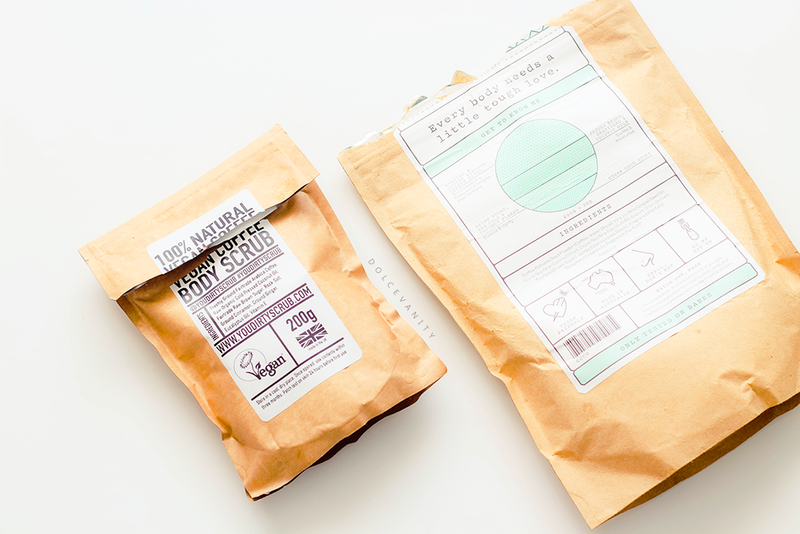 Keeping on the exfoliation wavelength, coffee scrubs have become popular and I'm going to be reviewing these two and maybe an overall winner will be determined. Me & Frank first got acquainted last year, you can read that here. I first come across You Dirty Scrub earlier this year and decided to give it a try because at £6.99 it's cheaper than Frank Body but is it any better? Frank Body vs You Dirty Scrub. Frank Body started in 2013 & is made in Melbourne, Australia. Ingredients are natural & naturally derived ingredients. I've tried both the Original & currently have the Coconut scrub by Frank. They also offer Peppermint or Cacao Coffee. 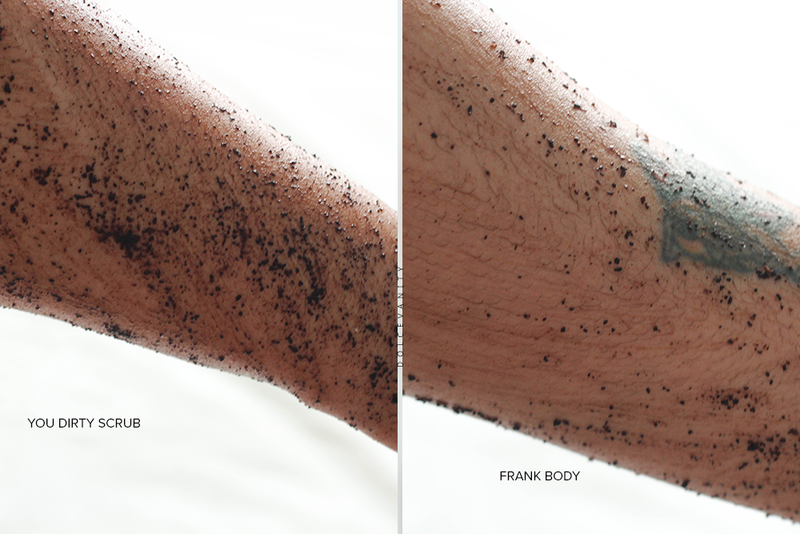 Depending on which scrub you get from Frank Body they range from £11.95 - £13.95. You Dirty Scrub was started in 2015 & is made in the United Kingdom available on Etsy or the official website it has two products available for purchase Coffee £6.99 Or Himalayan Rock Salt £7.95. 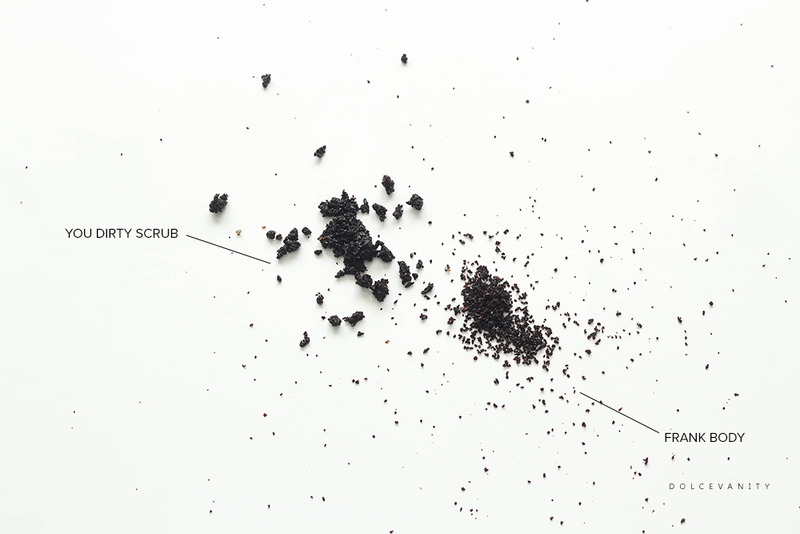 Both companies offer the scrubs with 200g worth of products & incredibly different prices. They both come in brown recyclable packaging with a snaplock top to keep all the fresh/goodness inside. 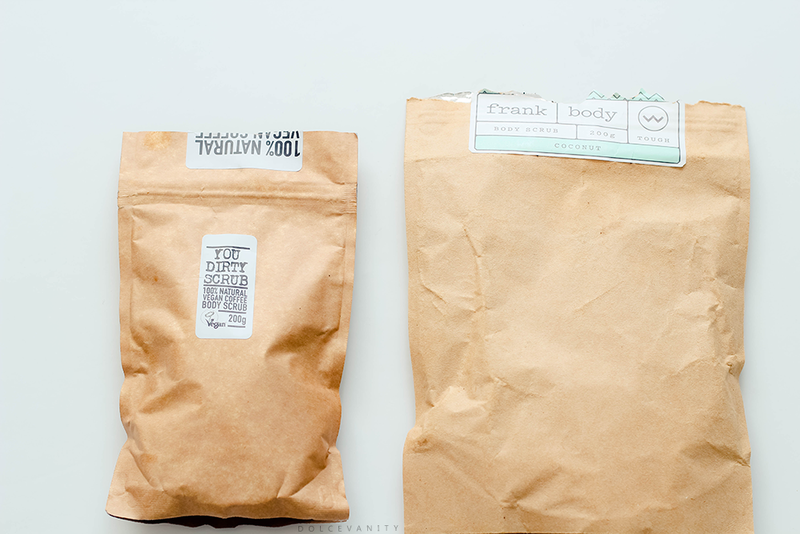 You'll notice how much bigger and wider the Frank Body bag is than the You Dirty Scrub and I prefer the latter packaging because they're both 200g but it's all tightly compact in the bag. I don't find these to be the most practical for in-shower use as you don't want to get the outer-paper soaked but even with my wet paws over it, it dries but I've never put it directly under water to say otherwise. The Frank Body packaging is larger and although it lets you fit your whole hand in to get product - which can be a positive, I feel it's wasted personally. I can still get my fingers into the YDS and I can get a piece out. I do prefer the colour scheme and information on the Frank packagings more, they're eye catching and appealing with each one with a different colour depending on the scrub! While on the skin, You Dirty Scrub separates well on contact with water but I feel I can lose more product as it crumbles when being rubbed on the skin. It covers more of the skin than Frank and I then use more to get more of a coffee scrub skin coverage. I find because YDS is a bit more moist to begin with, it provides a little bit more moisture once rinsed off. You Dirty Scrub the coffee scrub smell, there's a different scent than the Frank (both original & coffee) it's a lot sweeter, the cinnamon & ginger blend comes through but it's not overpowering, I think it works well with the coffee it uses. The OG Frank is a lot more coffee shop strong but the coconut one, blends nicely and tones the coffee smell down more. YDS lingers more on the skin if you don't cream afterwards but dies down within 4 - 5 hours but unless you're sniffing your skin, you won't notice it. You Dirty Scrub Original IngredientsArabica Coffee, Raw Organic Cold Pressed Coconut Oil, FairTrade Brown Sugar, Rock Salt, Cinnamon, Ginger, Eucalyptus Oil, Vitamin E.
Frank Body Scrub Coconut IngredientsCoffea Robusta Seed Powder (Coffee), Water (Aqua), Cocos Nucifera (Coconut) Fruit, Cocos Nucifera (Coconut) Oil, Vitis Vinifera (Grape) Seed Oil, Sodium Chloride (Salt), Sucrose (Brown Sugar), Jojoba Esters (Jojoba Beads), Fragrance (Parfum)*, Tocopherol (Vitamin E) *Natural. They use very similar ingredients also but offer different oils and coffee choices. With Coffea Robusta Seed Powder being more coarse in texture and Arabica Coffee being more gentle. I suppose it's what you prefer. In terms of coarseness / oils but it all boils down to one thing; it's all about the caffeine. It's such a hard one to say which ones better or which one I prefer, both are vegan, exfoliate nicely. The one thing about both these scrubs is you don't have to use them daily but even so I find a lot isn't needed as it spreads along the body nicely. I could do a handful for both arms and maybe 2 handfuls for both legs. I've had my Frank Scrub for 6 months now but I may use it 2-3x a month. Now if budget is a factor then You Dirty Scrub is perfect. I like that I feel I'm getting all my product, squeezed into the packet. I think it's better to try break it up more inside the package, so it crumbles so I don't feel I'm losing anything when it drops as it's quite moist so it clumps together more especially with being in tighter packaging. If your skin is more dry and needs hydrating while exfoliating, try this. Looking for luxury and a variety then the different Frank Body scents offered adds to variety. If you've got dry skin the coconut might be better suited than if you have acne prone skin as coconut oil can be comedogenic. I can say the prices can be justified by where ingredients are sourced! If you're looking to try out one, I'd say go with the You Dirty Scrub, it's affordable, does all that the larger brand does & it's made in the UK! Your photos are just stunning! 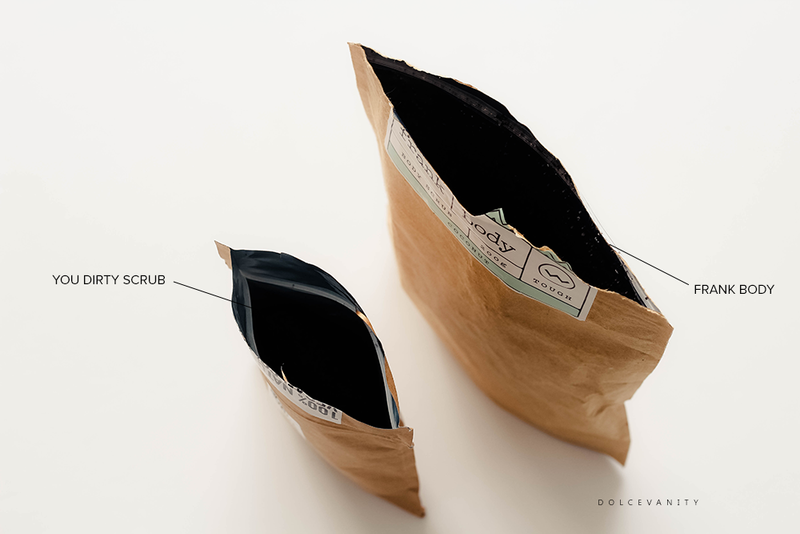 I love coffee scrubs, I have never tried either of these ones though, to be honest I normally just make my own! I haven' tried any coffee scrubs, but looking at the ingredients on You dirty scrub I can see it's probably quite easy to mix your own with the same ingredients. 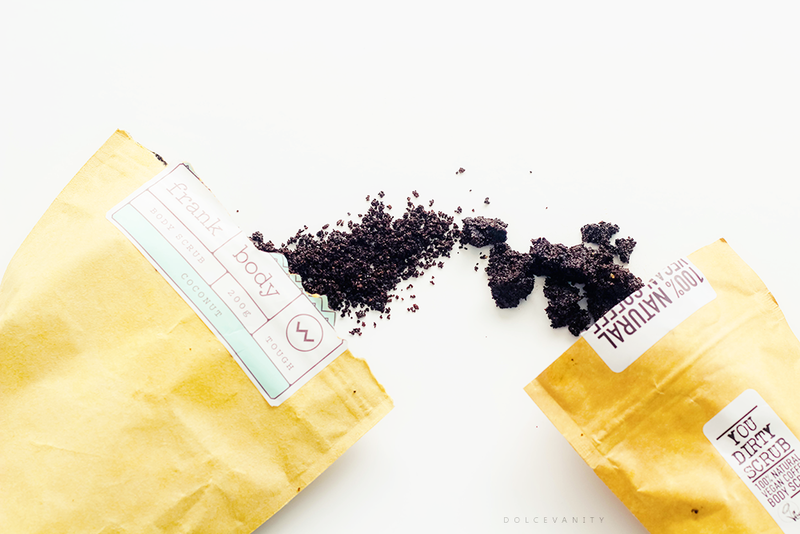 I've never tried any of the Frank Body scrubs but did pick up the coffee scrub from You Dirty Scrub recently and I absolutely love it. My skin feels so soft and hydrated after using it and I do find that a little goes a long way. They're such a lovely, small indie brand too! They truly are. I love the scrub & to be honest it's UK made, great cost and effective. I just had a nice scrub with it now. Thanks for the comment lovely! How am I not following already!? I love in depth reviews like this! I've seen Frank's on instagram a lot lately, but it's interesting to see how it hold up. They both look great but I think it's the price that separates them both for me. Aw! I'm so glad you've now found me now I can go have a stalk of your blog. Thank you! Yes, they're both good, similar ingredients as you can see but sometimes price can be a huge factor & I've got faith that in time You Dirty Scrub will grow and develop new coffee scrubs.